I love Christmas music. I have the Christmas radio station on all the time. When I was younger one of my favorite parts about Christmas time was when my piano teacher brought out the Christmas books. Christmas music was the best to play on the piano. My favorite were the slower songs like “Silent Night” and “Away in a Manger.” The older I was the more difficult the music was…..but also sounded incredibly different. 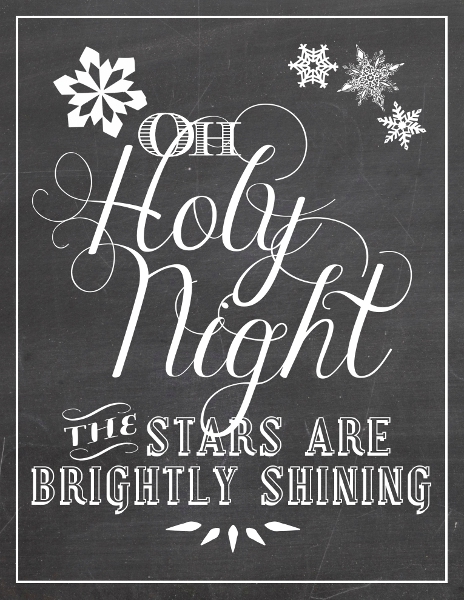 I’ll never forget the rendition of “O Holy Night” that I played in some of the last few years of piano lessons. I was in high school. I practiced that song so much. I still have the sheet music, though I doubt I can pick it up and play it perfectly. It was the most beautiful rendition of “O Holy Night” I had ever heard played on the piano. I played it for my grandma and grandpa at their small town church one Christmas Eve and surprised them. They had no idea. The hugs I received from both of them after playing I will never forget. I played it for church many times at our hometown church where I grew up. I played for myself because I loved it. But more than that, I think I played to make my mom proud. Seeing her smile each time I would step down from the piano was one of the greatest feelings in the world when I was a kid. She was so proud of me when I played at church. I miss that. Just recently I borrowed a book from our music teacher (who, ironically, was also my piano teacher years ago) and practiced a few songs at school one afternoon. It all came back to me, for the most part, and I played Christmas songs over and over. I cried, but it was a good cry. It felt so good to sit and play. Tomorrow I am playing some Christmas songs with a student who plays violin and one who plays guitar. Just for fun. Just because. I’m pretty excited. I cannot wait to get my piano back when we move. It’s been at my dads since I left because we don’t have any space, nor do we have an interior wall here to keep the piano tuned. “Breath of Heaven” is another tearjearker for me. I sang that a few years after my mom passed away. Barely made it through the song. Looking back, I have no idea how I did. Beautiful song. Beautiful message for the season. “Breath of Heaven” and “O Holy Night” will always make me cry, no doubt. I’m okay with that. Most of the time they are happy tears of wonderful memories of the music that I love. Music is a part of me. My mom helped to make it a part of me. How could I not be joyful about that?